The roosters are creating a racket. Cow bells on the sheep clang as the flock grazes the field. Staff sing as they enter the Centre – absently, lovely. A new day dawns. The fruit from the peach trees we planted nine years ago have ripened and been immediately picked by the children. Not a single one is left – just as we planned so long ago. Summer is delayed because the rains were tragically late this year. Up in the mountains, there is no corn on many of the stocks. Much of the seeds in our grannies’ gardens died in the dry soil. Second plantings of vegetables will ripen but harvest for the winter will be sparse. The late greening of the land is encouraging though and most welcome. 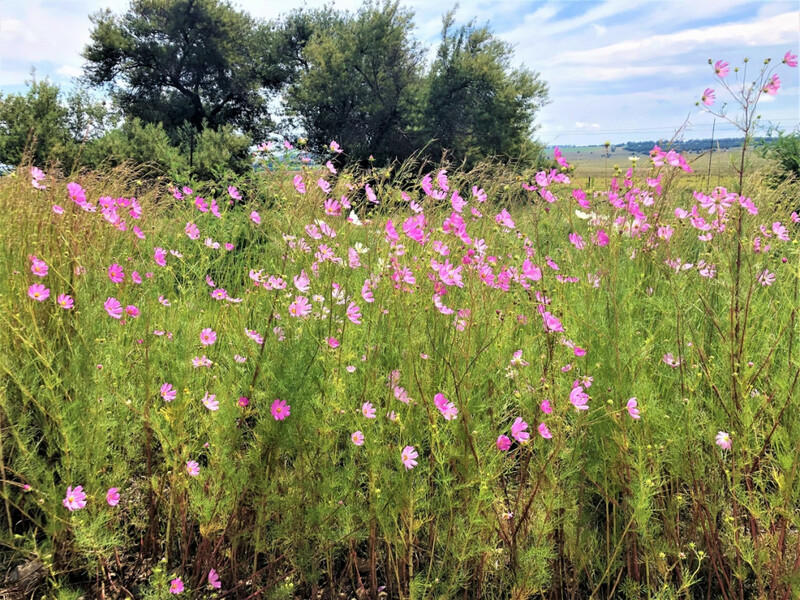 Finally, the cosmos have bloomed! 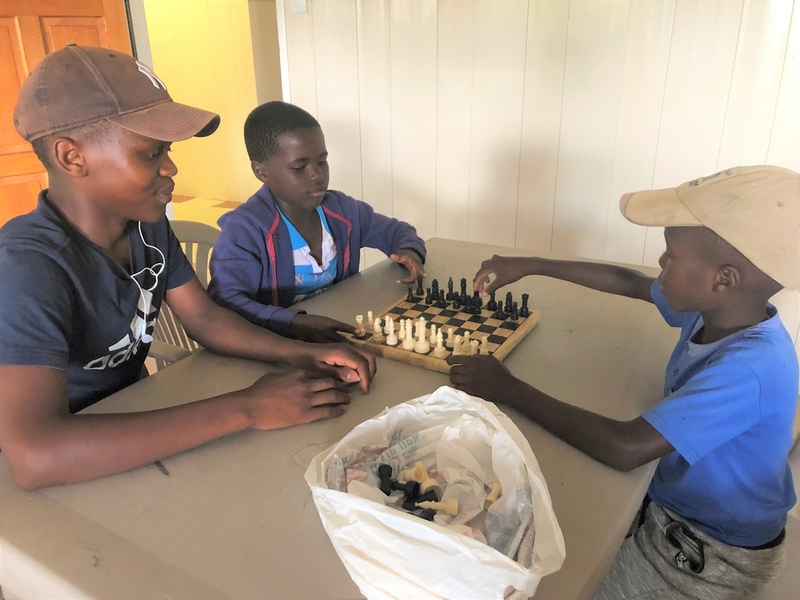 We were thrilled to host our newest board member, Thabang Mashologu, his wife Sarah and their two adorable sons, for a couple of days last week. Thabang is from Lesotho but did all his degrees in Canada, fell in love with a Canadian westerner and has been living in Canada since. 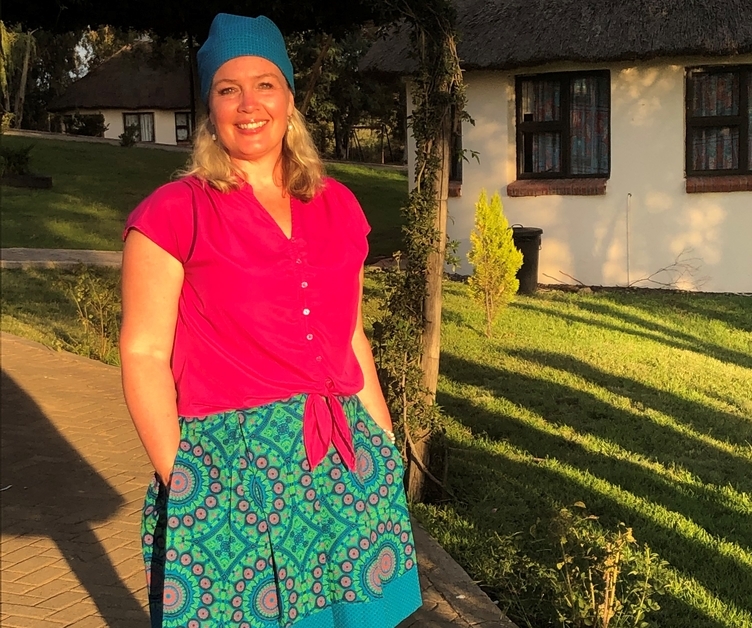 It is exciting and so helpful to have a Mosotho on the board who knows both countries well and has many contacts in Lesotho. It really is essential to come and see our work, so we appreciate him taking time from his family visit to spend with us here. 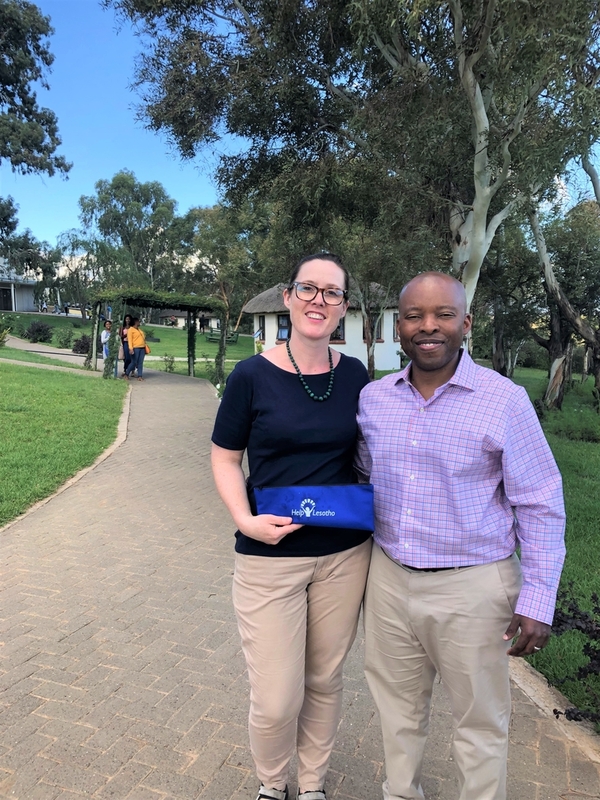 Marlene Caicco, our Donor Relations Manager, arrived for her first visit to Lesotho and it is wonderful to have her. She stayed at the Pitseng Centre for the weekend and is experiencing as much as she can of all our programs and people. She will have lots of stories to share. She is writing a blog and posting videos if you want to follow along. Our second donor trip guests arrived and are enthusiastically meeting staff and beneficiaries. Only two knew each other beforehand. Susan Hendry (Utah) was a US Peace Corp member in Lesotho forty years ago; Deb Ruse (Kingston, ON) is a committed member of the Kingston Grandmother Connection; Jean Ahlgren (Fredericton, NB) and her late husband, John, have been loving supporters for a decade; Hilary Barrett (McDonald Corners, ON) has a long family history in Africa; Katie Hellyer (Toronto, ON) is a member of the Audrey Hellyer Family Foundation Board which has supported us for a decade; Sheryl Selwyn (Chelsea, QC/New Zealand) has been such a faithful support to me and the organization since it began; Margaret Hughes’ (Kingston, ON) late husband’s family has a long history in Lesotho; and Shelagh M’Gonigle (Ottawa, ON) is a former board member and huge advocate for Help Lesotho since the beginning. 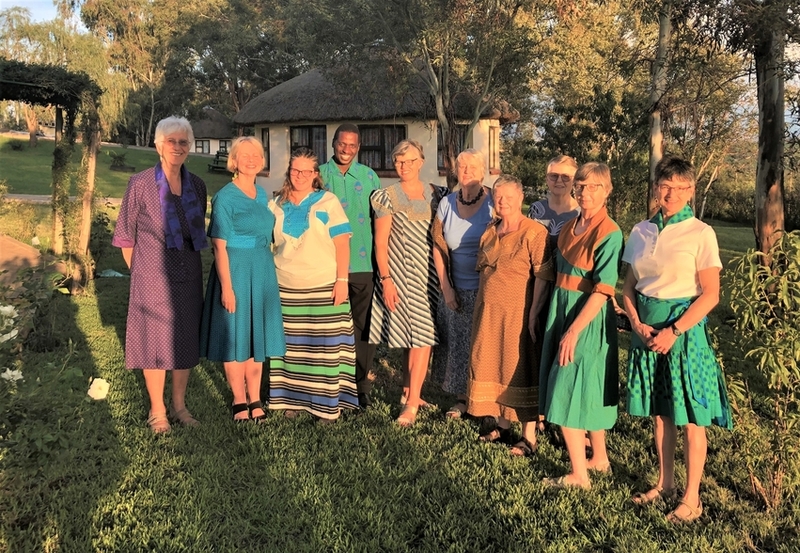 Each one has a special connection to Lesotho and to us. Each one is delighted to be here and a pleasure to host. We leave for a few days up in the mountains today. Today we talked about values. Honesty is the value that I like most in my life. I always bear this saying in mind: “only the truth shall set me free.” People sometimes get the wrong impression based on my behavior and my attitude towards them. After the session, I was able to work on my personality and behaviour, and now I can see a difference in myself. It really feels like there’s a root that is growing inside my body. Now I am able to communicate. It was hard for me at first but now it feels like I am used to communicating. I was able to share my personal problems with ‘M’e Peg and that was my first time sharing with anyone. And after sharing I felt so relieved – although it happened years ago – but after sharing I was able to grieve again. 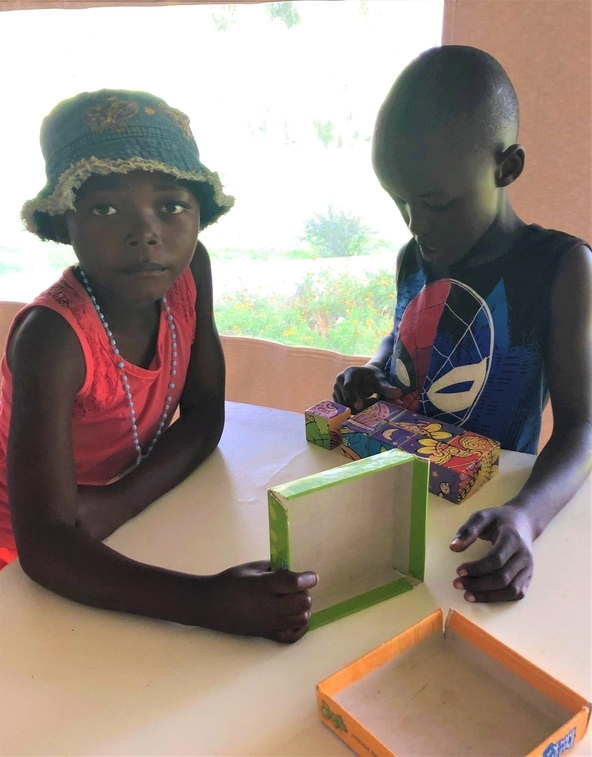 Now I am able to share this information with others so that they will be able to be true to themselves, be aware of themselves, to think about their thoughts and express their feelings, and to develop trust and the power of knowledge. And they may be able to build their own healthy boundaries. This place has played an important role in my life. I can feel the change and am proud of being me. What a brave young woman! 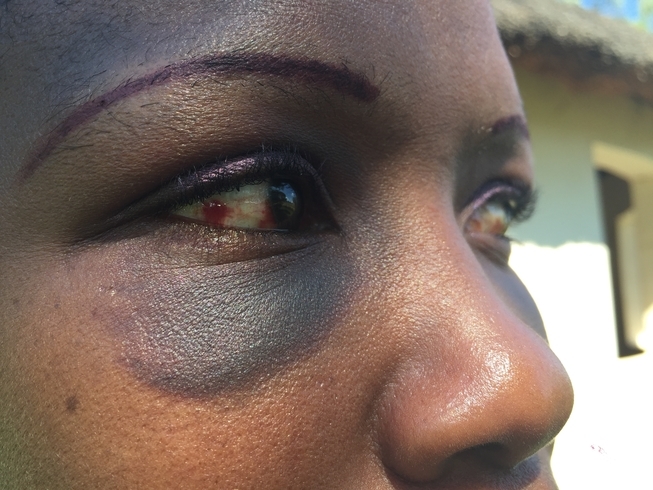 Lest the image of gender-based violence seems vague, I am including one photo I took of another young woman. We all work tirelessly to end such abuse. 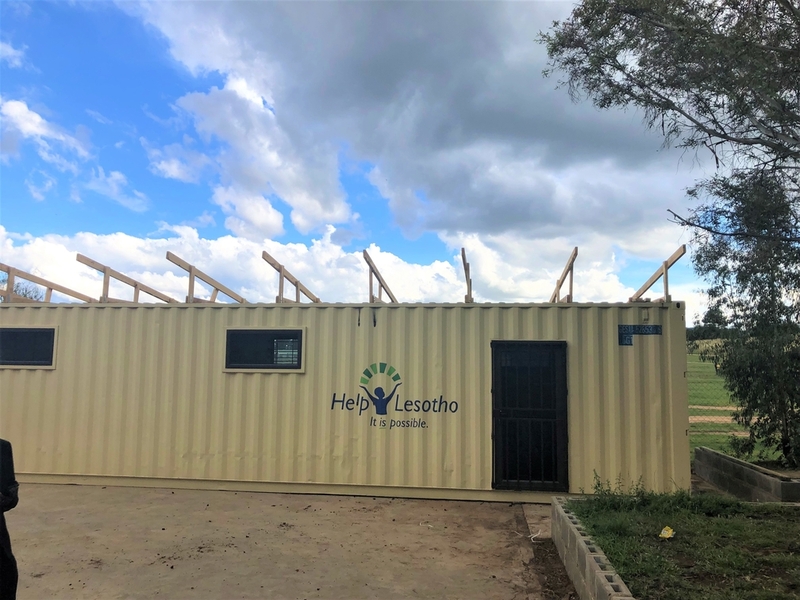 One of our donors has generous provided the funds to put a roof on both of our computer container labs. We have worried that the flat roof on the metal containers will rust and compromise the valuable computers inside. As is the case here, it has taken a long time but it is indeed happening. 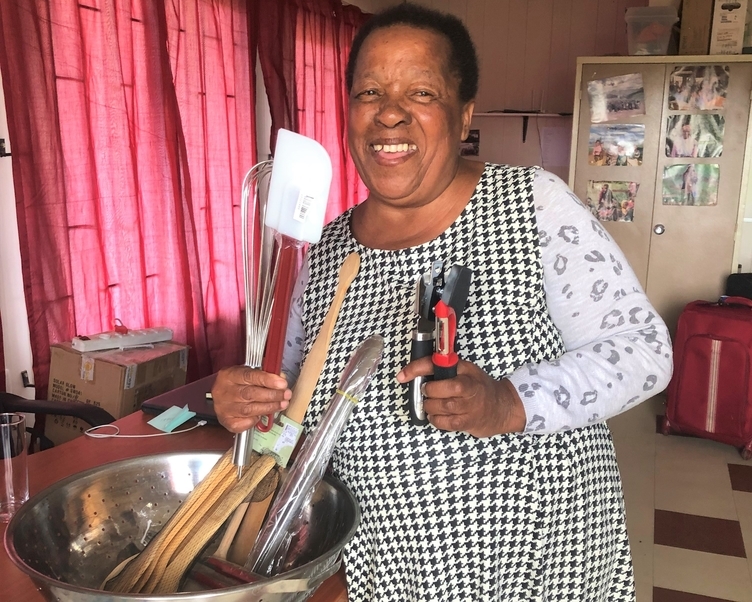 One of our guests last month was so taken with the worn-out state of the cooking implements that our cook, ‘M’e Muntja, was using to provide meals for hundreds of people that she sent the most exciting group of supplies – to ‘M’e’s delight and surprise. 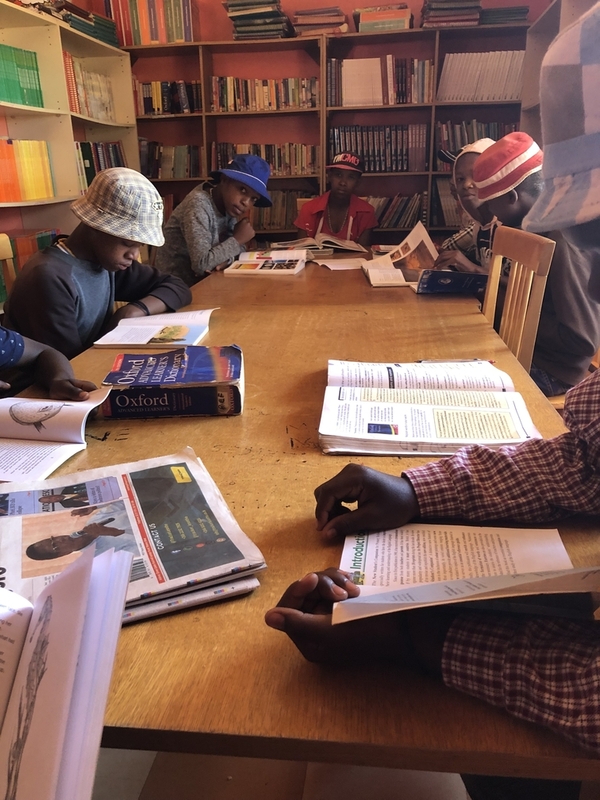 The schools are still closed with the teacher strike and our two Centres are overwhelmed with children playing and students in the libraries – such happy sounds. 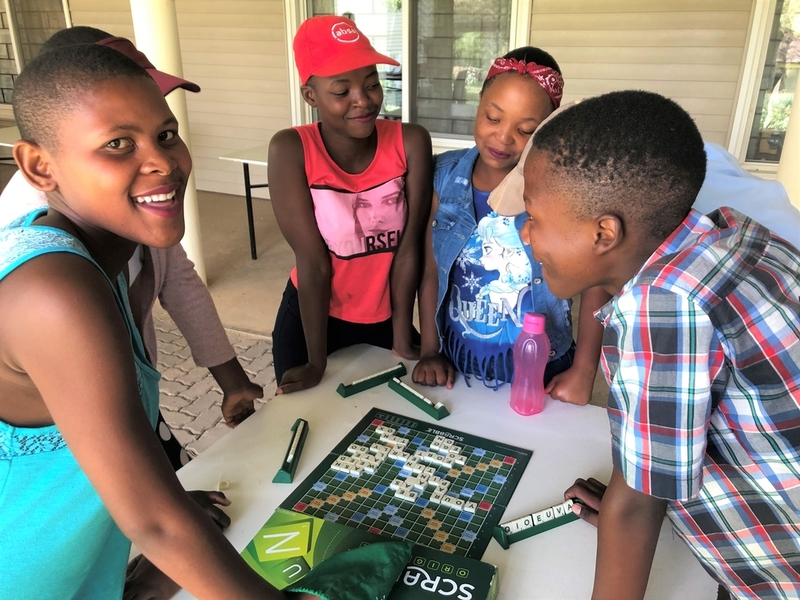 Little ones are practicing chess, scrabble and monopoly for the Centre competitions. It is a busy place. We all feel it is an enormous privilege to be here! My time will come to a close in the next weeks and there is still so much to do. I will send one more letter but know that I am thinking of you … often and with fond gratitude.